AMP is a hip-hop group from Maryland consisting of CL (Chung Lee), J. Han (James Han), and Sam Ock. The group's name means "amplify" because they hope to enlarge the volume of life, music, and Jesus Christ. The members first collaborated in 2009 and released two songs, "Never Change" and "See You in Heaven." "Never Change" reached over one million views on YouTube and the guys decided to do something more permanent together. 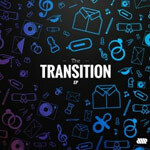 AMP is now releasing their newest effort together with The Transition EP. The musical sound offered from the trio is unique to say the least. The verses are clearly hip-hop in nature, but the almost A/C and modern worship sounding choruses give the songs an interesting twist. While this combination is definitely different than what most hip-hop artists are doing, the music is infectious. The sound is new yet strangely reminiscent of early Christian hip-hop groups, such as dcTalk (especially Nu Thang and Free at Last), with the constant mixing of rapping and singing. The EP contains six songs that feature several different instruments and a slightly different musical approach on each; there is definitely no chance of mistaking one song for another. For a relatively unknown act, these guys do an impressive job in all aspects of the album. The music, programming, rapping, and singing vocals are all on point. The raps and flows are tight and the rhymes are clever, but rivaling those are the beautifully sung choruses. The goal to amplify the name Christ is evident in the lyrical content. The rapped verses are often thought provoking and the choruses are truly worshipful in nature. Musically, AMP creates songs with solid beats and mix in everything from piano to guitars and strings to ensure an entertaining and diverse listening experience. The most enjoyable musical sections come in the form of a keyboard solo in "Loud" which sounds like it's straight out of an NES video game, and the ending of "Evermore" which builds and opens up big around the 6:43 mark before fading out softly to end the EP. The biggest detractor for the release, however, is the length of the songs. This six-song EP clocks in at over thirty-five minutes and the shortest track is 5:08. A slight trimming of the average track length could go a long way. It's unlikely that AMP is on your radar for 2013, but they should be. This trio offers up a truly unique sound and their heart and passion can be clearly felt. The guys know their sound and execute it with a near flawless precision. If you have to have big banging beats in your hip-hop, I suggest you look somewhere else, but if you're looking for something more intelligent and unique, look no further; fans of the Humble Beast roster may find the most enjoyment with The Transition EP. CL, J. Han, and Sam Ock have created something special that left this reviewer feeling more than pleasantly surprised.